TESSUTO ROSA PIUMA UCCELLO SULLA CLIP DECORAZIONE DI GISELA GRAHAM LIMITATO. DURANTE IL PERIODO DI OCCUPATO PRIMA DI NATALE. IO SARÒ IL DISTACCO ARTICOLI SU BASE GIORNALIERA. SI ACQUISTA UN SET DI TRE DECORAZIONI NELLA PROGETTAZIONE MOSTRATO. Eleganza con bordo intrecciato nastro 25 mm x 20 lt, colore: rosa n. 21. DIRITTO DI RECESSO. MPN: 450910. Produttore: Oaktree UK. Folia 12202 - Stoffbänder, 6 Stück, rot/rosa. Stoffbänder;Farbe: rot / rosa;Inhalt: 6 Stück - zum Gestalten und Dekorieren;Gesamtlänge: 5,5 m (1 x 50cm, 5 x 100cm);LGA tested. Condizioni di Reso . DIRITTO DI RECESSO. Margherita in Tessuto con Perla. Vendute in 1 mazzetto per un totale di 6 pezzi. Skype: maisontresjolie. SET 5 PZ ROSE ROSSE IN STOFFA E BRILLANTINI DORATI SULL'ESTREMITA' DEI PETALI. DECORAZIONE NATALIZIA IDEALE PER ABBELLIRE ALBERI DI NATALE, CESTINI, COMPOSIZIONI FLOREALI E TANTO ALTRO. Qualsiasi errore presente nel file di prova, non segnalato nella conferma dello stesso, risulterà presente nella lavorazione finale, non è imputabile a noi. I vostri dati non verranno immagazzinati o diffusi se non a terzi per a lavorazione della personalizzazione stessa. Per rendere i vostri addobbi di Natale e pacchi regalo più belli. cannella 20 cm circa. Maison Très Jolie. Skype: maisontresjolie. Festive Productions, Puntale a Forma di Angelo in Tessuto, 23 C, Microfibra, Pink, 20 x 20 x 22.86 cm. 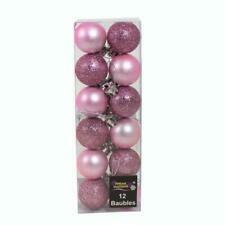 Festive Productions-Puntale per albero di Natale, a forma di angelo, 23C, Microfibra, Pink, 20 x 20 x 22.86 cm. IO SARÒ IL DISTACCO ARTICOLI SU BASE GIORNALIERA. DURANTE IL PERIODO DI OCCUPATO PRIMA DI NATALE. 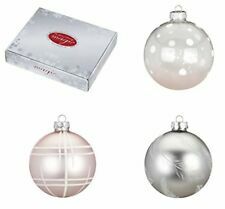 (20 x 20 x 22.86 cm) Festive Productions, Puntale a Forma di Angelo in Tessuto, 23 C, Microfibra, Pink, 20 x 20 x 22.86 cm - NUOVO. Festive Productions-Puntale per albero di Natale, a forma di angelo, 23C, Microfibra, Pink, 20 x 20 x 22.86 cm. A lovely Gisela Graham. 1 Ballerina, not the gold tie. Set of 3 Resin Fairies/Ballerinas. PINK FABRIC FEATHER BIRD ON CLIP DECORATION BY GISELA GRAHAM LIMITED. DURING THE BUSY PERIOD BEFORE CHRISTMAS. 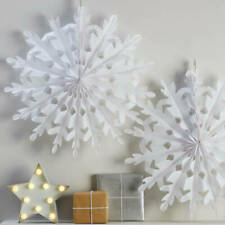 YOU ARE BUYING ONE SET OF THREE DECORATIONS IN THE DESIGN SHOWN. Tutti i costi sono inclusi nelle voci di elenco. Alcuni prodotti si adattano attraverso la maggior parte delle cassette delle lettere UK. (Articoli da restituire deve essere chiusa e inutilizzata). Regali per bambini. Organza Avorio/Rosa Caldo Fiocco in Raso Larga 8"
3 ROLLS WIRED “ CHRISTMAS CERISE PINK GLITTER” RIBBONS. CERISE STRIPE SPARKLE RIBBON. 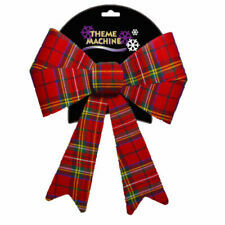 DECORATE TREES, WREATHS, GARLANDS, BEAUTIFUL GIFT WRAPPING RIBBON, BOW MAKING AND CRAFTS & CHRISTMAS CAKES. Round Handmade Christmas Baubles. 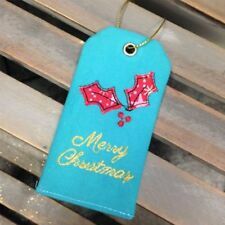 Set of 4 Handmade Fabric Christmas Baubles. Strung on Jute Twine with a Jute Bow. Complete with Holly Leaf. Fun fabric pink flying pig Christmas tree decoration. Leading up to Christmas we will be introducing loads of new beautiful Christmas decorations from the likes of Gisela Graham, Heaven Sends, Sass & Belle, Lang's. Soft fabric body, made from different fabrics mainly felts and decorated with glitter and sequins. In very good condition, see pictures. This is not a child's toy. Chenille Pipe Cleaner Elf. with gold string to hang from the tree. sitting on Fabric covered present. 6.5cms deep including legs the present itself is 4cms deep. Chenille Pipe Cleaner Elf. with gold string to hang from the tree. sitting on Fabric covered present. 6.5cms deep including legs the present itself is 4cms deep. In great condition. Gisela Graham Set of 3 Resin Ballerina with fabric clothes. Lovely addition to your Christmas Decorations. Hanging Christmas Tree Decoration. 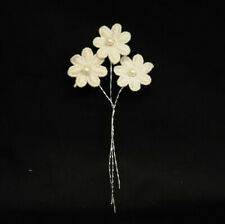 Lovely addition to your decorations by award winning designer Gisela Graham. Beautiful Set of 2 Resin Fairies with pink favric dresses. 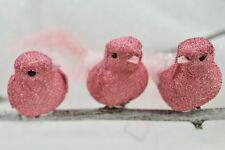 Hanging Fairy decorations with dainty features, white glittery wings and pink dresses and ballerina shoes.